This fabric is self checked tussar silk tunic. I[means my tailor] made into a short tunic[kurti] . The pattern –, I took a part of a corner pattern from a neck design book, and made it into a long diamond shape. The three medallion shapes are adapted from this shape. The filling stitch was an after thought, done by using the checks on the fabric. 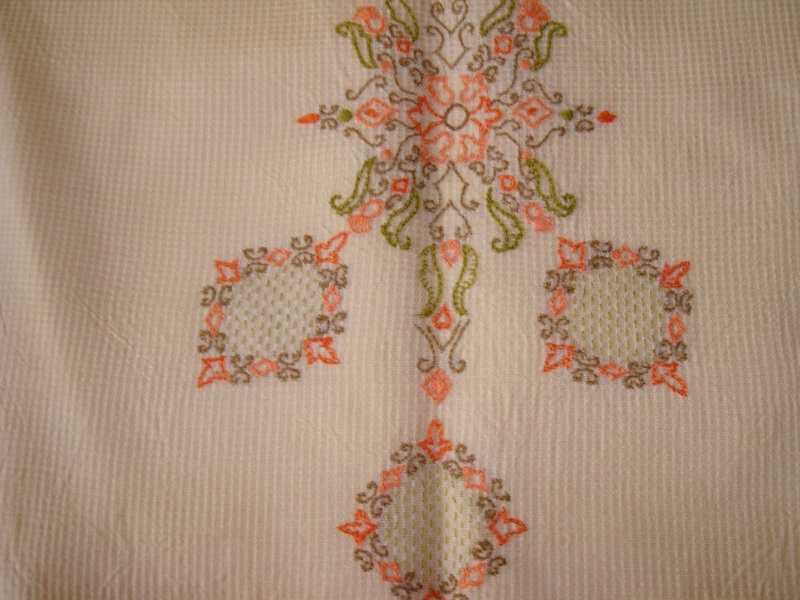 The colours used are peach and green, the whole embroidery is done in two strands of anchor cotton skeins[I had not started using silk threads back then]. 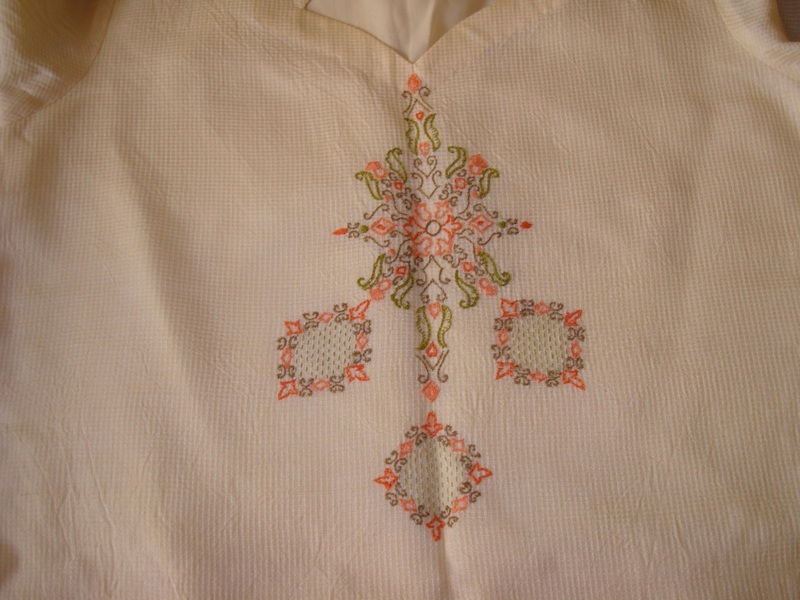 T﻿he length of the tunic was too short, so later, a eyelet embroidered fabric in peach colour was attached to the base of the tunic. The salwar[Indian pants] was sewn with the same colour to make it into a set. When I visited Sharon’s blog, I came to know of this site, which has scanned pictures of patterns dating back to 1885. Enjoy them! 1885- India was under British rule.Even My grandfather was not even born.